When you’re de-cluttering and need help, call Mike Carmody Monday through Saturday. He’ll arrive with the truck, labor and experience (20+ years) required to help you remove unwanted items from anywhere at your home or business. Mike will haul away your junk but he enjoys transporting your charitable donations as well, making trips to local organizations to donate gently used household items. He’s green, too, recycling metal, yard debris, cardboard and paper, as well as electronics. Emphasizing customer satisfaction above all else, he’s happy to provide free estimates and short notice service. Mike grew up in Kensington, attended the University of Maryland, was in a band for years, and raised four sons with his wife, who home-schooled them. He says he doesn’t get out as much as he used to and that he prefers a good book on his front porch in Silver Spring. 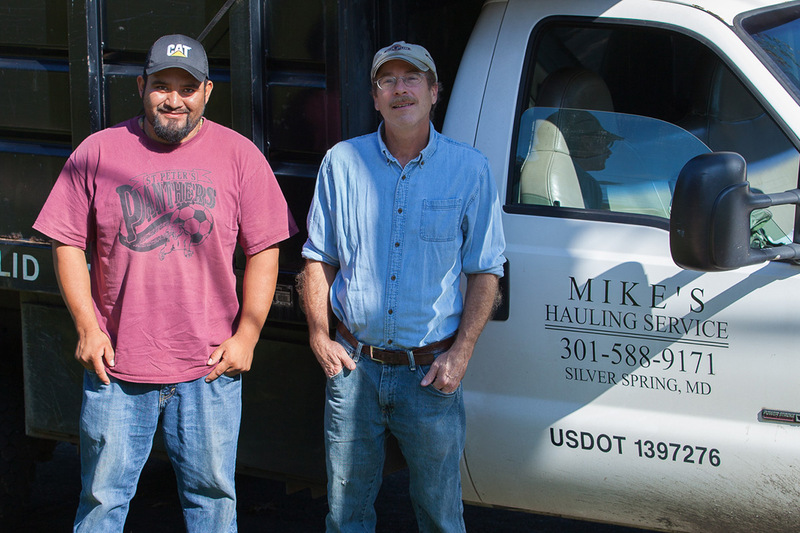 Contact Mike’s Hauling Services for more information or to obtain a quote.